Introducing Top Trumps – Elliotts style! We’re continuing our 175th anniversary celebrations with the release of our own Elliotts-style Top Trumps! Our deliveries have changed a lot over the past 175 years. We started off with horse & cart but now our fleet of red lorries take the reins. We got a lot of attention when we recreated a horse & cart delivery recently. We’re now asking you to vote on whether you prefer the old or the new. 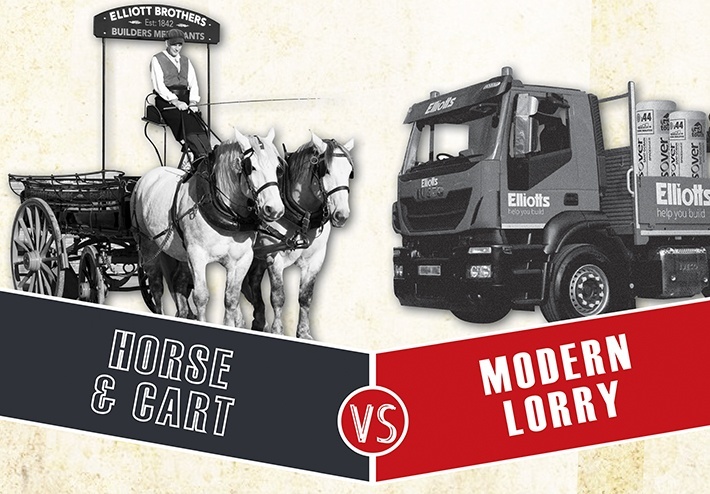 Are you #TeamHorse or #TeamLorry? You can cast your vote over on our Facebook and Twitter pages by commenting #TeamHorse or #TeamLorry on our Top-Trumps-style video. But be quick! Voting closes on Monday 19th February at 10am.